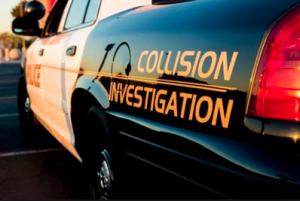 A motor vehicle accident involving two vehicles resulted in the death of one driver Monday afternoon, April 15, 2019. As the details of this tragedy continue to develop, and depending on who is deemed to be at fault in causing the accident, the family of Denise Strickland may elect to seek justice and file a civil claim for their loss. Based upon its extensive experience and success handling these types of motor vehicle claims in Georgia, The Murray Law Firm suggests that Ms. Strickland’s family should retain an experienced personal injury firm to protect their interests and ensure an unbiased investigation. Photographs of the roadways and vehicles involved and a review of surveillance footage from nearby businesses or properties, if any exists, will need to be performed immediately before any evidence is damaged or destroyed. 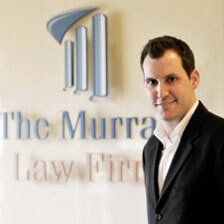 The Murray Law Firm has obtained over $100 million dollars in verdicts and settlements for its Clients, including for victims of Georgia motor vehicle accidents such as this one. We represent our Clients on a contingency agreement, which generally means that no fees or payments are owed until and unless we recover. Anyone seeking further information or legal representation is encouraged to contact us via e-mail (click here) or by telephone at CALL NOW: 404-842-1600. Consultations are free and confidential. Did negligent security contribute to this triple shooting and are justice and compensation available to the victim’s family and the other victims? 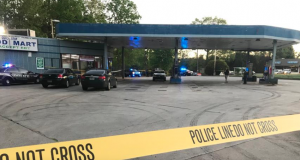 Gunfire erupted Monday evening, April 15, 2019 at a DeKalb, Georgia gas station leaving one person dead and two others injured. No suspects have been identified and the investigation is ongoing according to the media reports. Gas station and convenience store patrons have a right to feel safe and secure while on the premises. The Murray Law Firm questions the level of security provided at the gas station and whether this tragedy may have been prevented. What security measures, such as bright lighting, monitored surveillance cameras, clear windows, and visible security personnel, were in place to deter crime and protect the victims at the time of the shooting? Was any suspicious activity reported prior to the incident? Generally, property owners are required to protect all those legally on the premises from any foreseeable harm. Should the facts of this matter reveal that the gas station owner failed to provide adequate security to protect those on its premises, the victim’s family may seek justice and elect to pursue legal claims for their loss. Additionally, the surviving victims may pursue legal claims for their injuries. Based upon its prior successful experience in handling security negligence claims on behalf of victims and their families, The Murray Law Firm suggests that photographs and a thorough, unbiased inspection of the property will need to be performed immediately, before any evidence may be repaired, damaged or destroyed. Given the complexities of pursuing a negligent security case, it is imperative that the victim’s family and any other victims retain an experienced attorney who can ensure the preservation of any and all evidence that may support such a claim. 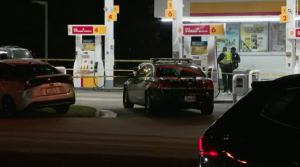 Man Killed at DeKalb Convenience Store Shooting; Security Lapse? Did negligent security contribute to this shooting death and are justice and compensation available to the victim’s family? Gunfire erupted Monday evening, April 15, 2019 at a DeKalb, Georgia convenience store leaving one person dead. According to AJC.com, “[t]he deadly shooting happened at the Quick Stop at 1101 North Hairston Road in unincorporated Stone Mountain…[a]bout 6:30 p.m., officers found the man on the ground in the doorway with a gunshot wound.” The victim later died at an area hospital according to the report. No suspects have been identified. This convenience store has apparently been in the news before, Fox5Atlanta.com reported on a shooting death in June 2018. Convenience store and gas station patrons have a right to feel safe and secure while on the premises. The Murray Law Firm questions the level of security provided at the convenience store and whether this tragedy may have been prevented. Were any extra security measures incorporated after any prior incidents of violence? What security measures, such as bright lighting, monitored surveillance cameras, clear windows, and visible security personnel, were in place to deter crime and protect the victim at the time of the shooting? Generally, property owners are required to protect all those legally on the premises from any foreseeable harm. Should the facts of this matter reveal that the convenience store owner failed to provide adequate security to protect those on its premises, the victim’s family may seek justice and elect to pursue legal claims for their loss.